Today’s guest post comes from Clarisa Ramirez, the Founder & Principal of Small Coffee here in Austin. Equipped with a decade of journalism experience, a Media Management certificate and a MA in Interactive Publishing from Northwestern, she has been helping people effectively grow their businesses by planning and executing successful marketing strategies since 2013. When it comes to running a successful business, providing the best quality in the shortest amount of time is key. However, it can be challenging for entrepreneurs with limited resources to organize and manage everything—planning events, creating social media posts and staying on top of email—when you don’t have any help. As a publicist with a limited amount of time and money to spend, I rely on several tools and apps that are designed to make my life a little easier. Luckily, there are a lot more tools these days that eliminate the need for relying on a personal assistant—or even needing to outsource the work. 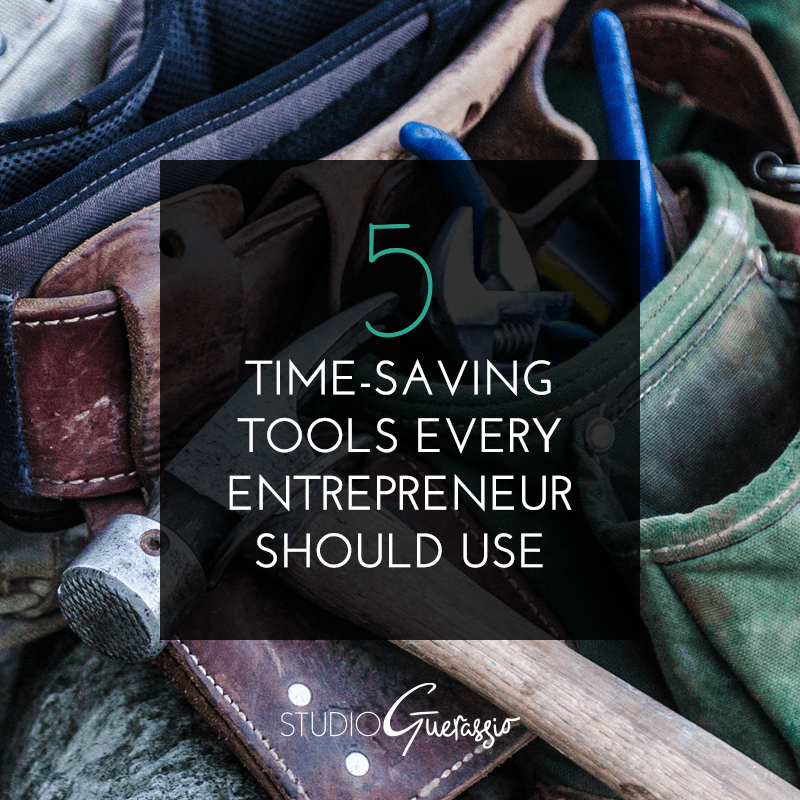 My intern Madison and I gathered up some of the go-to tools we’ve been using to be more efficient. Try them out! Grace Bonney referenced this tool in her After the Jump podcast, and since I’m a huge Design*Sponge fan I jumped on the bandwagon. Now I could be a spokesperson for Boomerang for Gmail. Basically, Boomerang lets you schedule emails and resend emails to yourself when you want to get to them later. You can also do fancier things with it, too, like remind yourself if you don’t hear back from someone. Boomerang costs $4.99 a month for a personal account and $14.99 for a professional account. If you’re someone who frequently uses your drafts folder and worries about forgetting to send emails, or accidentally sending too many reminders, this is the program for you. I actually feel less stressed just thinking about it. Doodle prevents you from sending 10 different emails about scheduling and setting up meetings. It’s awesome to hear people’s reactions after completing it the first time: “Wow, that was so easy.” All you have to do is provide a link to Doodle and teams can vote on which times work best for them. Genius. Basecamp is a great project management suite. It’s user friendly and it saves you from sharing a bunch of emails back and forth. I like how it visually shows you how much you’ve accomplished. If you’re looking for a way to manage tasks, the free Basecamp should be sufficient; but if you want to manage multiple projects, it’s $29 a month, regardless of how many employees you have. Do-able, right? iScanner saves you the time it takes to warm up your computer scanner by letting you scan and email documents directly from your smartphone. Mind boggling, right? I still remember the day I found out a former boss used an app to scan documents. She was instantly taking photos of all of her receipts while I was folding mine up and saving them to scan for later. I felt like a fool when I realized it was only $4.99 to use an app like iScanner. I’ll admit, in the past I’ve used a variety of phones that snap photos and convert files into clear PDFs and JPEGs, so I’m not married to this particular app, but it comes highly recommended. There are a lot of social media management tools out there: Tweetdeck, HootSuite, and Edgar come to mind. Buffer, however, is the least cumbersome and has the most bang for your buck. It lets you schedule all of your social media posts in advance—and it has a widget that lets you “Buffer” any photo or Tweet from a website, just like Pinterest lets you pin. The best part: you can Buffer a tweet or a post for a later time that Buffer thinks would be good, so you’re saving yourself all of the clicks it would take to program exactly what time and day you want your posts to go out, and the same goes for retweets. Buffer is free if you only want to manage one profile per platform. However, you can manage up to 10 social profiles for only $10 a month or 25 for $99 a month. Am I missing any from the list? Leave a comment below with your recommendation! Note from Amanda: Thanks, Clarisa! I can second the recommendations for Boomerang and Buffer- I use those all of the time! I also use a phone app as a scanner – my personal pick is ScannerPro.